About a year into writing this blog, back in 2011, I started sharing a lot of my personal experiences from traveling. My most notable post was The Year I Walked Away from Love, which I felt compelled to write because so many people thought I was this brave soul without knowing I had spent much of 2010 in tears. Life changed so much since then. But a year ago things changed dramatically and I didn’t share it. It’s been a year since I left Toronto. And I’m finally ready to be honest again. I’ve written so many versions of this post in the last 12 months, unable to hit publish. Wanting to share the obvious yet somehow I couldn’t. As everyone has probably figured out, I ended my relationship a year ago. Although it was over long before that. The details don’t really matter. Eventually they fade. Or at least that’s what I keep reminding myself. It’s hard to write a personal post when you’re not just sharing your life, but someone else’s. I didn’t publish a post because I was so angry. And I felt guilty because I had been lying to so many loved ones, saying things were okay when they really weren’t. That relationship and everything that went along with it is in my past. Now I’m in Cuba. I know you’re thinking, why Cuba??? In January I went to Mexico, without any real clue of what I was going to do. But my friends Laura and Edwin were there and I needed to be amongst friends. We decided to take a last minute flight to Cuba because none of us had been, so why not get an AirBNB and go? But it turned out to be the most difficult Latin American country I visited. It had such a defined tourist trail we couldn’t find where Cubans actually ate, drank and hung out. The only Cubans we were encountering were the ones serving us. Until the penultimate day (side note: penultimate is my favourite word, it means second to last). We had practically admitted defeat in the search of the authentic Cuba, and pathetically went to a hotel for wifi and expensive cocktails. The drinks were taking too long so we sent Edwin to the bar who struck up a conversation with the bartender and his two friends that had stopped. Edwin explained that I was in search of traditional Cuban food, not the tourist paladares we were getting sent to. Thankfully the two friends were on their way for lunch. Did we want to join them? That led to my best meal in Cuba, followed by an afternoon and evening of far too much beer, rum and attempting to salsa dance with new friends. But it unlocked something for me. I could do this. I could find the real Cuba. We left the next day, but not before telling my new friends that I wanted to come back for a month to learn more. Could they help me find an apartment? Would they show me more of Cuba? Could they find me a hotel with cheaper internet in Cuba? And I’ve been based out of Havana since then. Eleven months, with far more to go. And I’m not completely on my own. I have new friends who I see on a regular basis. I have a new life. I don’t know what draws me to Cuba. Maybe it’s the perseverance. It’s not a country frozen in time, but one that struggles to progress. When I’m frustrated with things Cubans shrug and just say es dificil (it’s hard), because that’s the matter of fact attitude they have. But in the light of everything they remind me to be in the moment. Because, many of my friends remind me, who knows what will happen tomorrow? 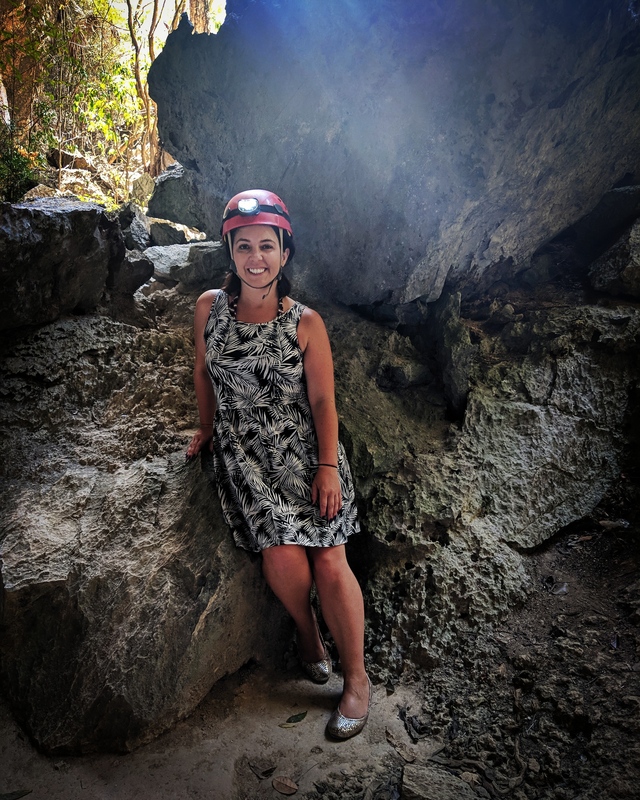 Exploring a cave in Cuba in completely inappropriate clothing and shoes. Living here isn’t easy. I fluctuate between cycles of ecstasy, feeling this is exactly where I need to be, and crying because of nutritional malnourishment and the feeling I will always be an outsider. And yet I keep coming back. Cuba has tested me and it has healed me. And even though I’ve said I never want to write a book. I do want to write a guide to independent Cuba. 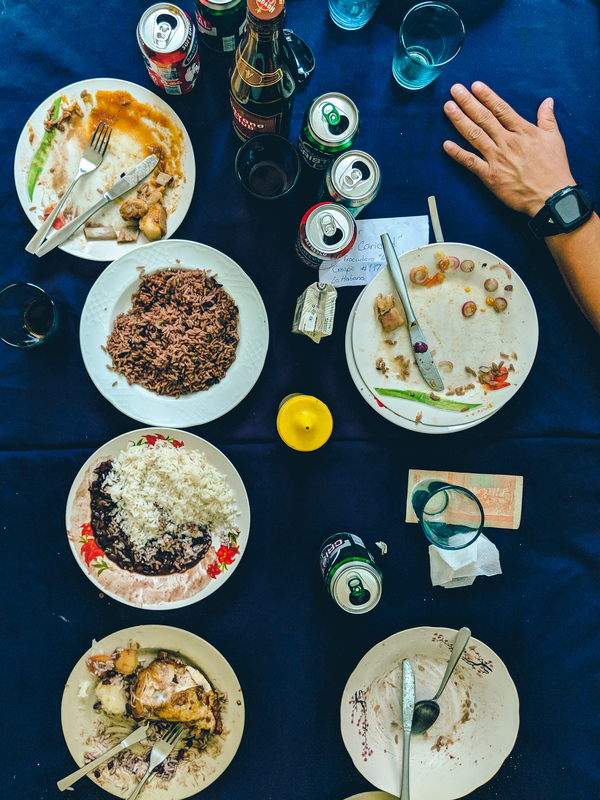 I want to write for readers who want to see more than just the obvious, who also want to eat and drink with Cubans rather than just interacting with them as their waiter or driver. And to help people understand that Cuba is more than rum, cigars and vintage cars. Because frankly most of the articles I read are the same lame 10 things to do in Havana…barf. This place is special. I only started sharing some of what I know because I want what I share to be respectful, honest and useful. So some of the posts will be straight up guides of how to do things…because there isn’t a lot of practical information. 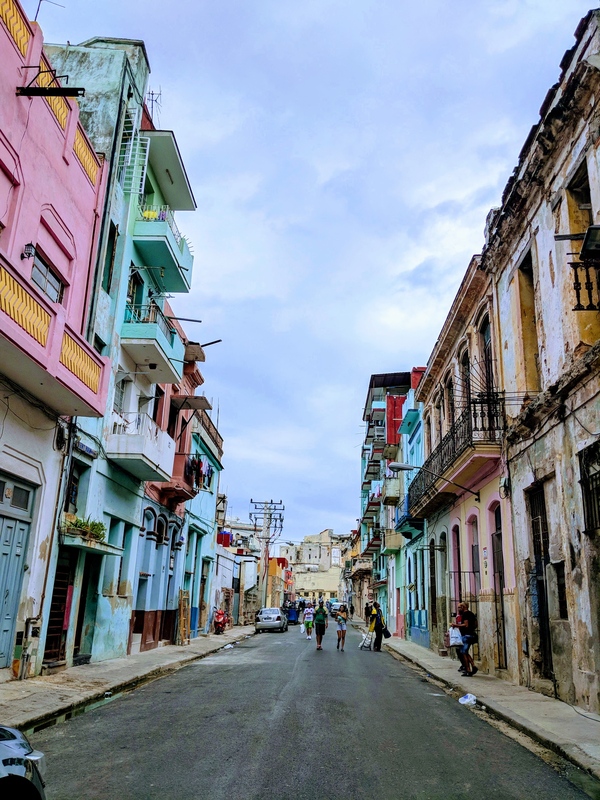 And some of the posts will be more personal, like my struggle to fit in, how relationships between men and women are so different here, and how hard it is for anyone to eat enough vegetables in Havana. 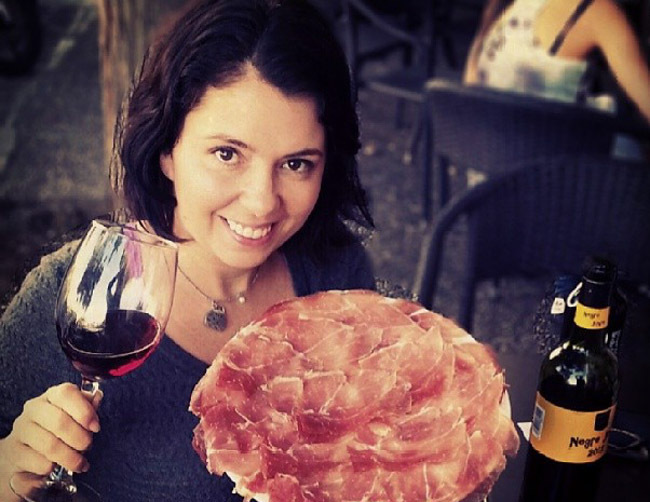 I thought that when I wrote the follow-up post The Year I Walked Toward Love, that was the happy ending to my travel blogger-esque Eat Pray Love story. But it was just another chapter, not the ending. I’ve moved on and I have so many new stories to tell . I look forward to reading more. We love Cuba. And, thank you for using “penultimate” properly. So few do. I have yet to visit Cuba…hopefully one day. Have you considered doing tours there? I’m sorry to hear things didn’t work out the way you’d hoped, but thrilled to read about the progress you’re making. As “they” keep reminding us, it’s the journey, not the destination! I will be avidly following your posts going onwards. One of the reasons I haven’t visited Cuba is the situation you described. People I know who have been say they have seen the “real” Cuba, but I know that they haven’t! However……hmmmm….sounds like it might be difficult being vegetarian there!! Thanks for sharing this piece of your life. I can’t wait to read more about your daily life and adventures in Cuba getting off the beaten path! Sorry you had to go through that but glad to see you come out the other side, still loving life. Just wanted you to know a lesson About did not learn till I was 40! My mother-in-law taught it to me. Life is always on time. You will find out the why down the road. There is a why to why and when things happen! I look forward to your why post is the future! I read your blog and post but it feels delusional to me. Could you honestly share what is going on in your head? I feel sorry for those nice guys you left behind. If your plan in life is just to go solo, don’t hurt others. It’s no wonder why nice guys turn bad. Oh yes, please share what is going on in your head. Francis – Your comment is riddled with assumptions, and I am offended on Ayngelina’s behalf. How do you know they were nice guys she left behind? How do you know her plan is just to go solo? Have you never been in a relationship that didn’t work out? To suggest that she is personally responsible for nice guys who turn bad is…..ridiculous. Ayngelina was as honest as she could be or wanted to be in this post. It is very difficult to share a story like this, especially when people like you retort with comments like these.